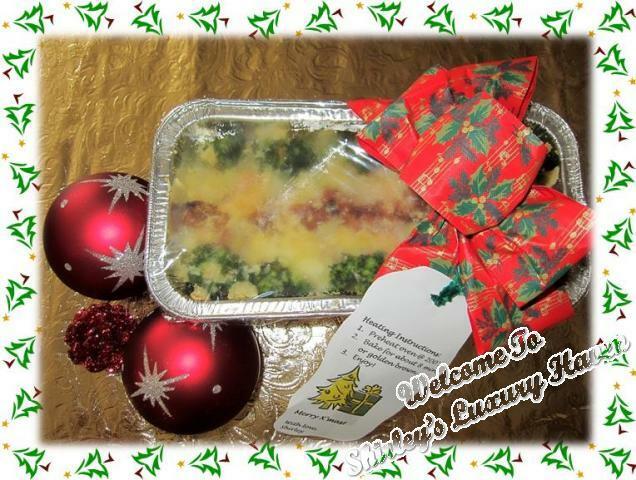 You are here:Home » Recipes » Baked Rice, I'll be home for Christmas! This is a beautiful song by Bing Crosby, which speaks from my heart. I've finally finished decorating my X'mas tree & my cozy home. This year's theme is Red. I've been using cartoons for the past years: Hello Kitty, 101 Dalmatians, Disney etc. LOL! I've even thought of the Angry Birds theme, since I've just visited their HQ in Finland. But decided to go simple instead, with my fibre optic tree. 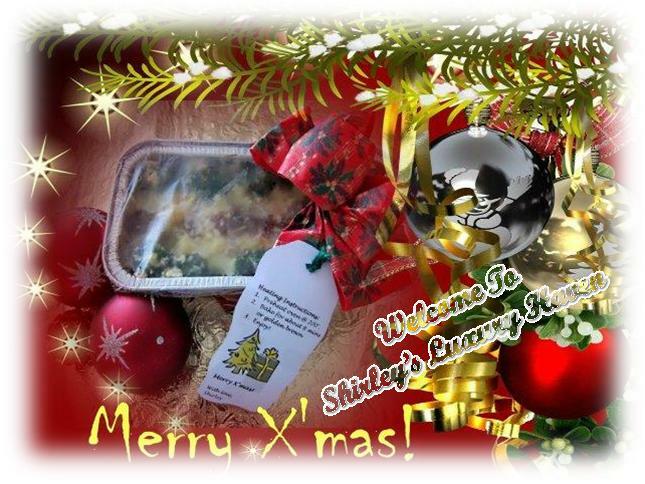 I've just made Baked Rice for dinner last evening & I’m dedicating this recipe to you, wishing you lots of presents this X’mas & love in your family. There’ll probably be a lot of leftover food for the festive season. 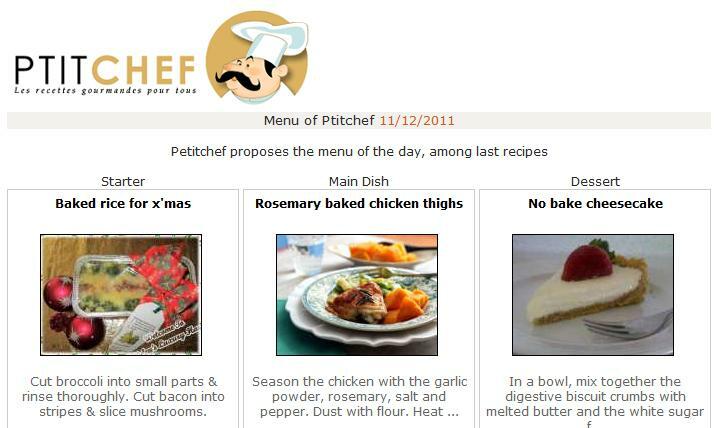 This is one of the simple recipes using leftover rice & a can of Campbell Mushroom Chicken that you can use for this X’mas. Best part of it, you can even make use of this leftover rice & turn it into an Italian Restaurant Menu as gifts for your friends. 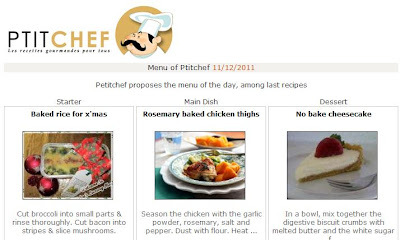 I'm submitting this recipe to Festive/Party Food at Food Corner for their 1st anniversary! Cut broccoli into small parts & rinse thoroughly. Cut bacon into stripes & slice mushrooms. Mix rice, water & mushroom with Campbell. Heat oil & fry bacon till fragrant. Drain & set aside. Using the scented bacon oil, add butter & stir-fry veg & prawns till half-cooked. Preheat oven at 250°. Grease foil with butter. Mix half the ingredients with rice & transfer into foil. Decorate rice mixture with remaining ingredients. Top with cheese. 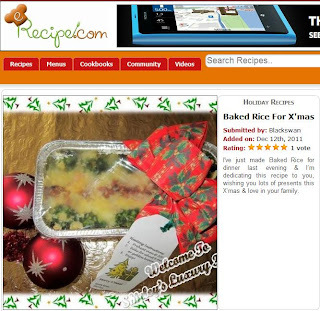 Bake rice for 10 mins or till golden brown & you'll get a cheesy delicious Baked Rice. If you’re presenting the Baked Rice as gifts, be sure to include heating instructions for your guests. 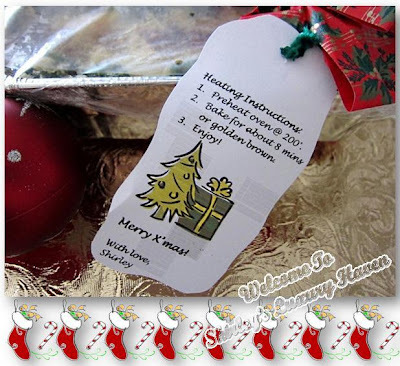 Hope you'll like this simple & economical X'mas gift! HAPPY HOLIDAYS TO YOU, MY DEAR! 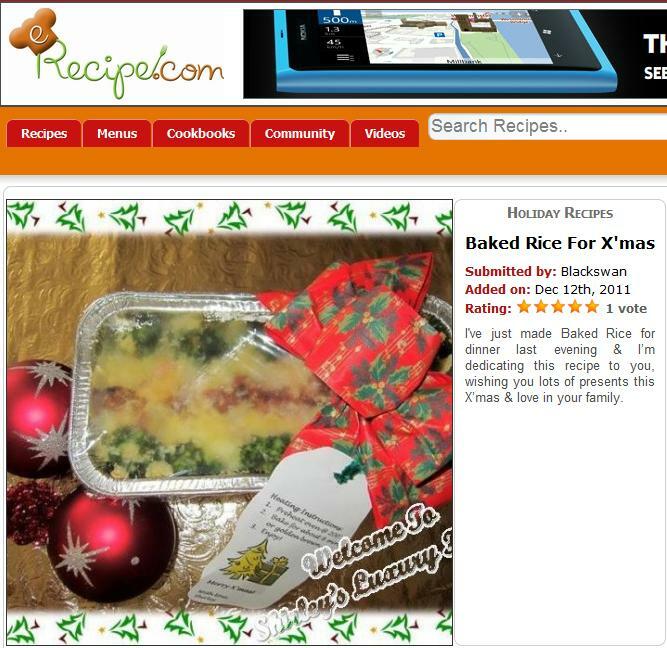 Bless others with your baked rice in this Christmas! HOHOHO! whoa.. for sure this is a good info for those leftovers.. Oh damn.. this was sure good.. I like.. :-).. Thanks sis.. And your Christmas tree was awesome!! ^_^.v..
Lovely cheese topping on top Shirley, sure wanna make for myself. Thanks for sharing this great idea of using left over rice, next time i need not worry about left over rice wastage. Doris, no wastage at all! Hahaha! Rebecka, it's good to have u here joining us :) Glad u like it! Amy, thks & will chk them out! how cute the photos are looks great! Claudia, have a nice weekend! your christmas tree is so beautiful...and the rest,,, awesome!!!! ^^ have a merry christmas!! hohoho!! Aemy, Merry X'mas to u too! Looks really delicious! :D Thanks for sharing. Merry Christmas to you! A great and pretty way to use up leftovers. Beautiful Christmas tree. I can see you are getting into the Christmas mood:D Merry Christmas to you and your family with lots of love! Shu Juan, thks for dropping by! 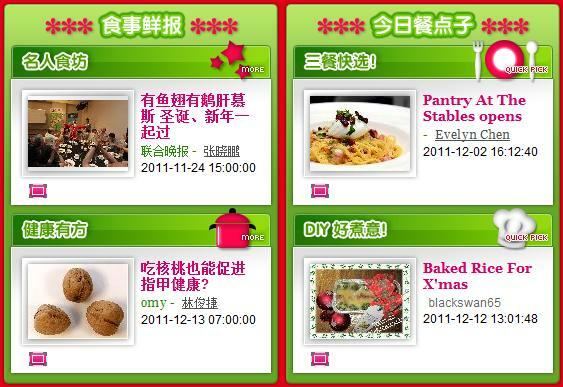 Will pop by soon :) Merry X'mas! Veron, I'm already in the mood long ago! Hohoho! KF, I hope this is not too difficult for u to handle. Really hope u'll join my cooking club one day. Hahaha!